Effective Scorpion & Pest Control - Friendly to Family & Pets. GUARANTEED in Greater Mesa, Phoenix & Tucson AZ. Responsible Pest Control Mesa AZ delivers EFFECTIVE Scorpion & Pest Control services with RESPONSIBLE methods for the safety of family & pets! Providing GUARANTEED pest control at AFFORDABLE prices using premium products, Responsible applications, and EDUCATION! We'll answer your questions, give courtesy CALLS, wear BOOTIES inside, SWEEP spider WEBS, perform Termite Inspections, and pay attention to DETAILS! Responsible's courteous Pro's get ongoing education & training for the KNOWLEDGE, tools & EXPERIENCE to effectively control scorpions and desert pests around your home or office. Live scorpion and pest-free with services from the pest control experts at Responsible Pest Control. Delivering precise, targeted pest control services with specialized products and equipment to CONTROL & PREVENT pest problems at their source! Advanced products with no odor, very low toxicity, and specialized equipment give us the precision needed to control pests - without effecting your family & pets. Providing effective pest control for scorpions, spiders, roaches, ticks, termites, bed bugs, crickets & general desert pests. Join 1000's of Happy Customers living Pest FREE in Greater Phoenix AZ ~ GUARANTEED! Control scorpions with specialized pest control products & applications GUARANTEED to kill scorpions in Phoenix Valley areas. 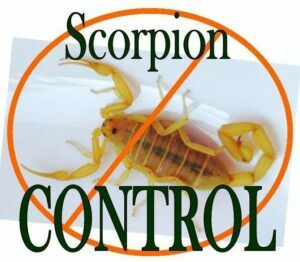 Responsible Pest Control specializes in scorpion pest control with customized treatments and product applications proven MOST EFFECTIVE at killing scorpions themselves (not just the bugs they eat.) Delivering the most effective SCORPION CONTROL in Mesa and Phoenix Valley areas. Scorpions are always on our radar because, Arizona Bark Scorpions are the most venomous scorpion in the USA, and a common pest throughout the Phoenix AZ Valley. Don't worry - The only scorpions you'll see, while on our service, will be dead or dying GUARANTEED! Control & PREVENT scorpions with the experts at Responsible Pest Control! If you ever have a bug invasion between regular services, just give us a jingle and consider it done! We'll get you on the schedule for a re-treat right away, at NO cost to you! Responsible Pest Control combines advanced product applications with common sense solutions to RESOLVE & PREVENT Commercial Termite & Pest Control problems - GUARANTEED. Bugs have NO business in Your business! Pests are small but effect your bottom line in a BIG way posing health & safety risks to employees & customers. Responsible Pest Control gets the job done RIGHT - without affecting your work! Protect your biggest investments with Responsible's Commercial Pest Control services!